According to Sunday Coupon Preview, you’ll find one SmartSource insert in the Sunday, April 21, 2013, newspaper. Look for coupons for Capri Sun, Banana Boat, Energizer, Huggies, Schick and more. 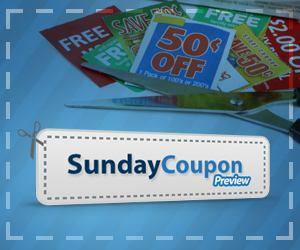 Visit Sunday Coupon Preview for more details.